I’m in Tucson now, preparing for day one of the NWTRCC National Gathering . Reading the Tea Leaves: Will the Empire Break Up the Party? — Medea Benjamin of CodePink writes about her outreach to TEA Partiers, and the results of an informal survey she conducted to gauge TEA Party activists’ attitudes about military spending. Jess Bachman has put out an updated version of his fantastic Death & Taxes poster that graphically illustrates the United States federal discretionary budget. Every once in a while, I’ll get a review copy of a book as a free blogger tchotchke that makes me feel like I’m a real media celeb or something. 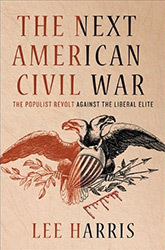 This time it was a copy of Lee Harris’s new book: The Next American Civil War: The Populist Revolt Against the Liberal Elite . I can’t say I was all that optimistic when I saw the title, or when the publicist who sent me the copy promised that Harris was “the conservative American public intellectual of the new millennium.” I figured this was just going to be one of those books people read when they want to be reminded that people who think like they do are good and those other folks are a bunch of cretins. I was happy to find that the book is much better than its subtitle. Superficially it’s meant to be a defense of the TEA Party / town hall disruption / Glen Beckian paranoid kvetching / Sara Palinish tendency against the “liberal elites” they complain about. But there’s actually very little in the book about these things. They’re mentioned in passing, along with things like Rosa Parks, Wat Tyler’s rebellion, the discovery of Tahiti, the English Civil War, the Stonewall Riots, the signing of the Magna Carta, the American Revolution, the rise of Andrew Jackson, and so forth. None of these are really analyzed in detail. Elements of each of them are brought out as exemplars to support some facet of Harris’s thesis. 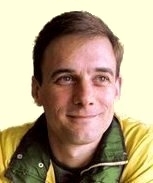 The gist of which thesis is that these quasi-populist, quasi-organized, right-wing rumblings that have made the news recently are all examples of a latent, liberty-loving orneriness that comes to the surface periodically in lucky countries like ours that have the sort of cultural underpinnings that allow healthy, freedom-promoting governments to evolve. The tension between democratic, libertarianesque populism on the one hand, and the guidance of the nation by well-meaning, well-educated elites on the other, is, according to Harris, itself a blessing. We shouldn’t root for one side or the other to win (though we may have reason at any particular time to hope one side or the other gets the upper hand) — the fact that these two sides are both vibrant and remain locked in conflict is what ensures the health and utility of republican institutions. It’s thought-provoking to be given a whirlwind tour of Western history seen through the lens of this thesis. That said, the book doesn’t defend the thesis so much as tell it like a bedtime story: pleasant enough, but not very rigorous.